Why do some people have a liberal mindset while others seem set on conservatism? And what makes it so difficult to find common ground? Those are some of the questions explored in a one-hour special, “Jordan Klepper Solves Guns,” which aired recently on Comedy Central. Comedian Jordan Klepper and a camera crew came to the Emory campus last October to film part of the program in the Department of Psychology. 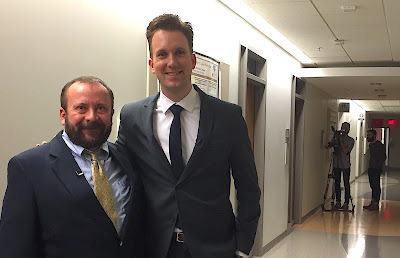 Klepper interviewed psychologist Stephan Hamann about his research into how the brain may influence whether people are on one end of the political spectrum or the other, and how we might use this knowledge to better understand one another. Klepper also underwent an fMRI scan of his own brain in Emory’s Facility for Education and Research in Neuroscience (FERN). If you missed the broadcast, you can watch it on Klepper’s web site, JordanKlepperSolves.com.